There is so much more to job search than just scouring the classified ads for vacancies. It is a tough process that requires organisation, dedication and perseverance. To help job seekers through this arduous time, there are plenty of tools out there to make your lives easier. Some promise to revolutionise your resume, others claim to cut out all the leg work in job hunting and most of these are not worth the code there developed on. Here at Adzuna HQ we have picked out our 5 favorite job search tools to help you streamline the journey on your way to your dream job. 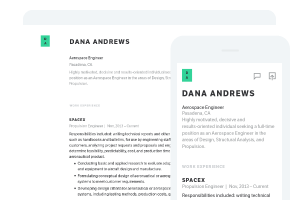 Standard Resume is a fantastic tool to help you revamp your resume. Not only is it free to use but it gives you professional results in half the time. Simply register with your LinkedIn account and it will automatically create a snazzy resume based on your profile which you can edit and customise where necessary. There is nothing worse than errors and typos in your resume. One fantastic tool to help weed out the grammatical and spelling mistakes is a free tool called Grammarly. In fact this nifty little plugin is useful to have whether you’re job hunting or not. It automatically scans your online work and highlights any contextual, grammatical or vocab errors. It is far more intuitive than the standard spellcheck. So, whether you’re writing an email for work or crafting your cover letter, make sure you avoid any fatal writing fails. So, your resume did the trick and you’ve been invited in for an interview. Big Interview is the ultimate tool to help you improve your interview skills. Simply sign up for a small monthly fee of $25 and you will have access to an incredible range of training and practice interviews, from the easy to the impossible. It aims to equip job seekers with everything they need to ace an interview. It includes industry-specific interviews and competency-based questions. Tagged under: grammarly,	job search,	job search tool,	standard resume.